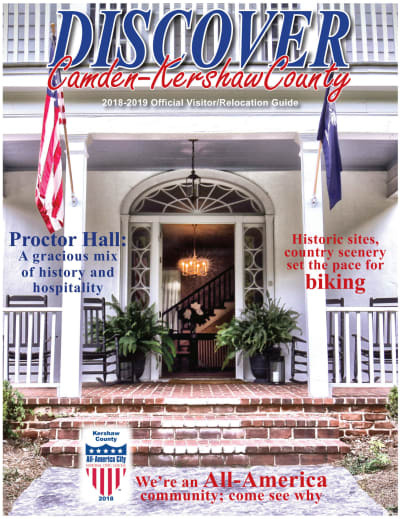 Newcomers and visitors enjoy exploring sites of events that have taken place over the course of more than 250 years of Kershaw County history. Camden was founded in 1733 and is South Carolina's oldest inland city. 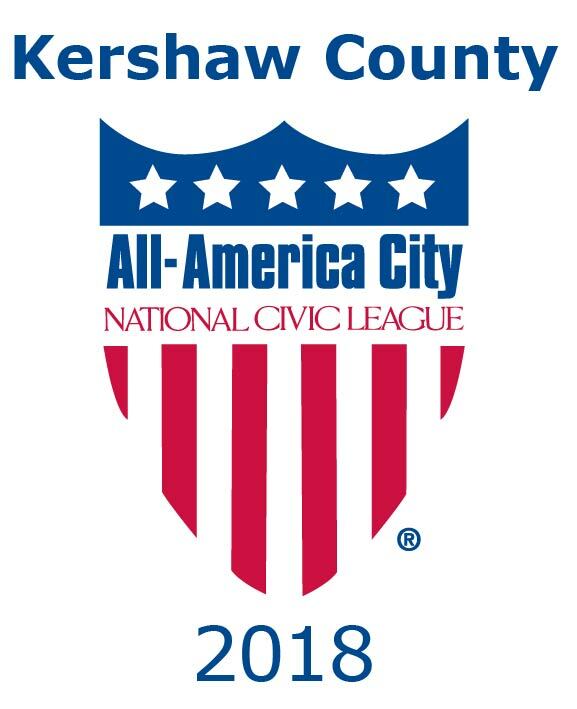 Kershaw County derives its name from Joseph Kershaw, one of the first community leaders of Camden. English and French settlers moved to this area from Charleston and joined Scotch and Irish groups who migrated from the Northeastern United States. The old Revolutionary War era grave markers at Quaker Cemetery testify to the cultural diversity of the early Camden years. Soon after the capture of Charleston in 1780, Camden was occupied by the British. General Lord Cornwallis established his living quarters in the finest house in Camden-that of Joseph Kershaw. That original structure has been re-created from early documents and is a vital part of Historic Camden-a Revolutionary War park affiliated with the National Park Service. Two Revolutionary War battles took place near Camden. The Battle of Camden in 1780 was disastrous for the American troops under the command of General Horatio Gates. General Nathaniel Greene led the American side during the second conflict. The Battle of Hobkirk Hill was also a defeat for the colonists. However, the heavy casualties inflicted on Cornwallis caused him to evacuate Camden. Many antebellum structures grace Kershaw County, including two designed by the prominent South Carolina architect Robert Mills, who is best known for designing the Washington Monument. One of these structures, the Robert Mills Courthouse, is now the property of the Kershaw County Chamber of Commerce & Visitors Center. It has been restored and is now used for offices and a Visitors Center. A lasting symbol of Camden was created in the 1820s- a life-size iron effigy of King Haigler, a Catawba Indian who befriended early settlers in the area. 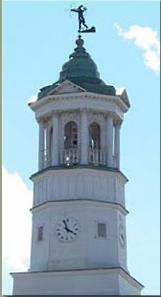 A replica of the original, which is housed the Camden Archives & Museum, stands atop the old opera house on Broad Street as a symbol of the community's hospitality. King Haigler is also memorialized by a new Post Office in Camden that bears his name. No true fighting was seen within the town limits during the Civil War, but Camden served the war effort as a hospital community for the injured. Mary Todd Lincoln's brother, who was stationed in Camden as a Confederate surgeon, is buried in Quaker Cemetery. Although Camden was not involved in actual fighting during the Civil War, the county did send six Confederate generals to the battlefield. Mary Boykin Chesnut, the wife of one of the generals, resided briefly at Mulberry Plantation and kept one of the most detailed diaries of the Civil War era. These diaries later were the basis for the Pulitzer Prize winning "Mary Chesnut's Civil War". Camden quickly recovered from the war and has easily moved progressively forward ever since. By 1885, Camden and Kershaw County became a popular winter community for wealthy Northern families. It was during this golden age of the resort hotels that people began to appreciate the inherent beauty, accessibility, and pleasant climate of the area, thereby contributing to the growth of our county to what it is today. Horse-related activities became very popular. That interest in equine activities has continued and today the horse industry is a major part of the county economy. For that reason, the county is known as the "Steeplechase Capital of the World". The area stands poised today to continue that progress into the next millennium. Its beauty and cultural diversity will continue to attract new residents and visitors from all over the country. We stand ready to welcome you to our area.